Liverworts, the plants in question–so called because their rounded primitive leaves are kind of liver-shaped–tend to fly under the radar. "When I tell people I study liverworts, my opening line is that it's not catching," says Matt von Konrat, the Field Museum's collections manager of plants and lead author of a paper detailing the project in an issue of Applications in Plant Sciences dedicated to the digitization of botanical natural history collections. 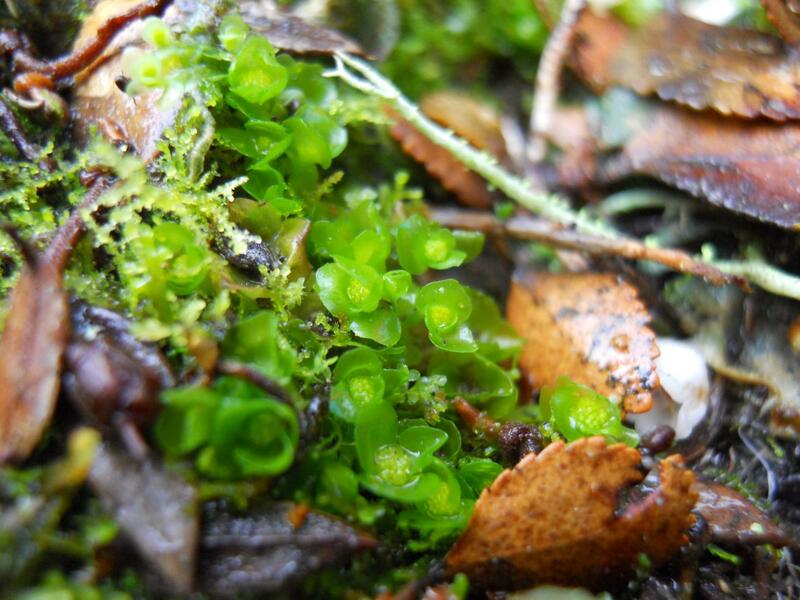 You've likely seen liverworts before, but you probably didn't realize it. These ancient plants evolved millions of years before the dinosaurs, and they're everywhere from deserts to the Arctic. But liverworts are tiny–about the size of an eyelash–and inconspicuous, growing like their cousins, mosses, on rocks and trees. Since they're so small, they respond to climate change and global warming more quickly than bigger plants and animals, making them valuable to scientists. "They're like a canary in a coal mine," says von Konrat. But using liverworts to better understand climate change requires a better understanding of liverworts. The intricacies of one liverwort species or another are often only visible through a microscope, and analyzing the details of hundreds of thousands of images of microscopic leaves isn't exactly a plum job. "It's tedious for one individual to go through these photos for hours on end," says von Konrat. "But if you get a hundred people to do it for five minutes each, it's a lot easier." The people von Konrat organized to share the load are citizen scientists–volunteers from a wide variety of backgrounds who contribute to scientific research. "Citizen science is an opportunity for an individual, group, or community to participate in and contribute to an active research program," explains von Konrat. "It's public contribution to science." "The Microplants project is two-pronged: to help find differences between these species, and see if measurements can actually be done by lay people," says co-author Kalman Strauss, a high school student and citizen scientist who has been volunteering with von Konrat at the Field Museum since 2014. The project relied heavily upon citizen scientists like Strauss; another of the paper's authors Joann Martinec, a retired businesswoman and another Field volunteer. "I've always been interested in nature–in my family growing up, as soon as you could walk and talk, you'd be outside identifying species," says Martinec. "But I didn't know much about mosses and liverworts until meeting Matt at a Members' Night at the museum. I wanted to do something new." Martinec went on to play a major role in training new citizen scientists on the Microplants project. Over the course of the project, over 11,000 users assisted in analyzing liverwort photos, participating remotely online and via an in-person digital kiosk in one of the Field Museum's exhibitions. The platform, which corresponds to Next Generation Science Standards, was also used in classrooms ranging from kindergartens to college biology classes. The resulting analyses of the liverworts, says von Konrat, are accurate enough for use in research that can inform environmental policy. Beyond the contributions to science, von Konrat says, the project is notable for its efforts in public engagement with science. "This project goes beyond the data," says von Konrat. "It's about breaking down barriers and showing that everyone can contribute to science. One key audience is students and younger generations–exposing them to museum collections and science, help them get excited about science." Strauss, von Konrat's sixteen-year-old co-author, is a good example of that. "Although early land plants might not be as romantic as, say, dinosaurs, they're just as interesting and just as complex–the fact that they're so often overlooked, especially liverworts, is part of what makes them so cool," says Strauss. "They're overlooked all the time. You've probably walked on bryophytes a thousand times without noticing them. But looking at them closely opens up a whole new world of beauty and complexity." Von Konrat cites a drawing sent to him by a four-year-old girl who participated in the Microplants project–she drew heart-shaped liverwort leaves, along with von Konrat declaring via speech bubble, "Her [sic] is a new species." "That's my source of inspiration," says the non-drawing version of von Konrat. "That's why we do it–it's for the next generation."